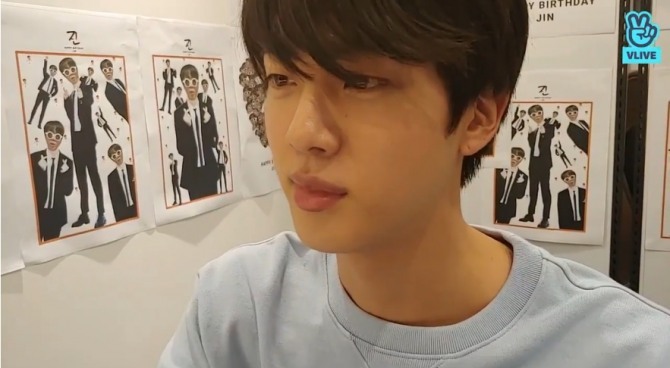 BTS’ Jin aired a V Live broadcast for his 27th birthday Tuesday, in which he lost himself in front of 5.6 million viewers. 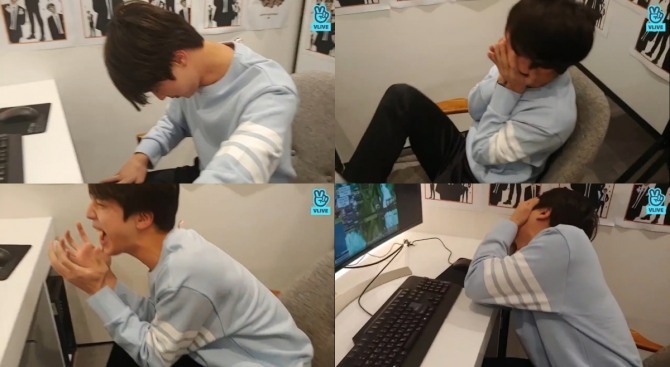 It was supposed to be a fun time for both Jin and fans, as they played online games together. He said he had planned the birthday V Live event for months, but things did not go quite as planned. It turned out to be a bad gaming day for the star. A frustrated Jin exploded, as he played again and again and seemed to forget that he was on air for a birthday broadcast. Following are three must-watch moments from Jin’s birthday V Live event. 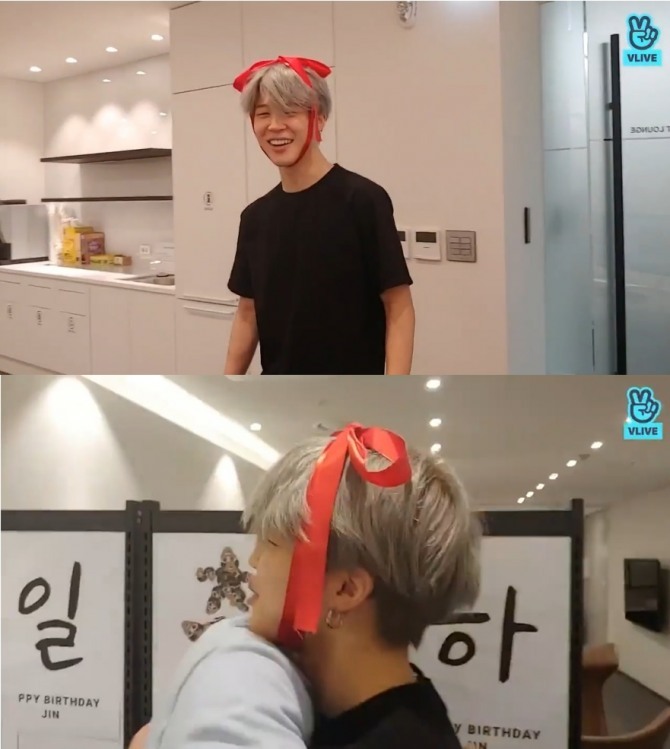 Bandmate Jimin showed up with a red ribbon on his head, presenting himself as Jin’s birthday gift. “How should I open it? 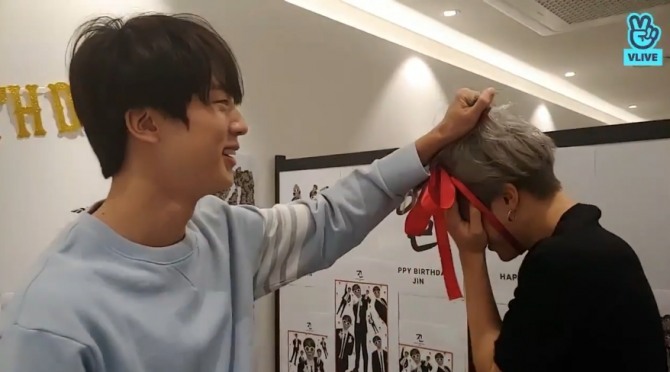 Like this?” Jin joked as he pulled Jimin’s hair. 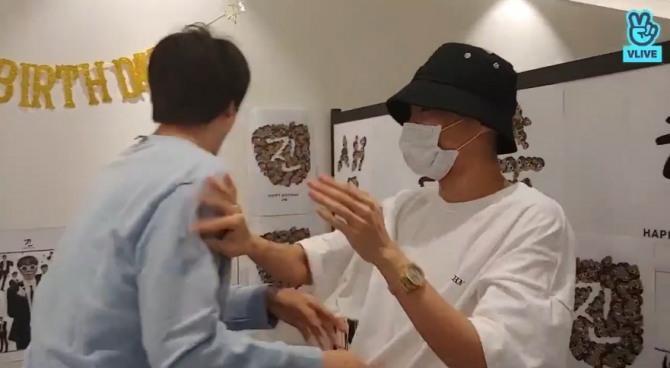 J-Hope, covering his face with a surgical mask, showed up to give Jin birthday smacks, slapping him on the bottom and back 27 times. “Oh, you’ve got a present for me,” Jin retorted, pointing to something not shown on screen that J-Hope had brought along. “How nice of you to prepare a gift!” he said, trying to reach for J-Hope’s personal valuable. “No. No. Not this. Your present is still coming!” J-Hope reacted desperately. 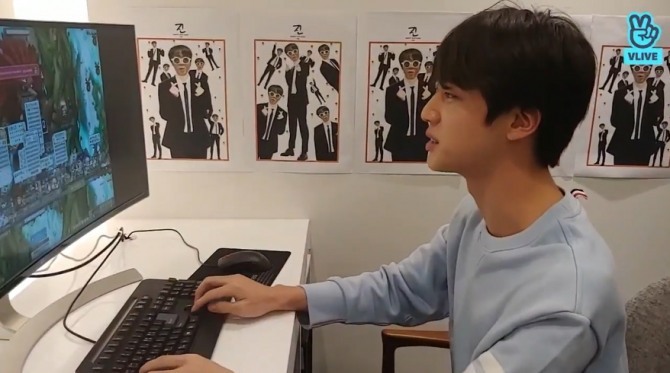 Jin also played “MapleStory,” the popular side-scrolling online role-playing game, which he said he has been playing since the fifth grade. He chose to take on the “Forest of Endurance,” a stage that requires a lot of jumping. The stage turned out to be too high a hurdle for the star to clear. Jin kept failing as his character continued to slip from the stairs following the long, difficult climb. “I wanted to show you my clearing of the stage. Instead 5.6 million people watched my character’s embarrassing free fall,” said Jin, finally calling it a day. The clip had been watched over 7.2 million times and amassed 370 million likes within its first 12 hours. Watch the broadcast at https://www.vlive.tv/video/102489.